Even though my showers tend to be shorter in duration than average, I like hotter than normal showers. That means even though it’s been only 3-5 minutes my bathroom mirror is severely fogged over, so I spent anywhere from 45 seconds to a minute and a half using my hair dryer to defog the bathroom mirror as recommended around the internet, so I can see a clear reflection again. I’ve been doing this for years because I didn’t really mind it, but I didn’t love doing it either. For the last six months, I made a mental note to look into a solution where I didn’t have to point my hair dryer at the mirror every morning. Yes it took me six months to finally get around to it. So with some time on hands, I finally remembered to look into it. I pulled up Amazon and searched on “defogging bathroom mirror.” At first, some anti-fogging mirrors actually popped up, but I wasn’t ready to invest time and money into a vanity anti-fog bathroom mirror (though at $169.99 it would be a future consideration for sure). At first I balked at the $12.99 price tag, my expectation of a solution was going to be half the price, so I looked around the site for a similar anti-fog product, good reviews, at a better price and didn’t have crazy chemicals in it. 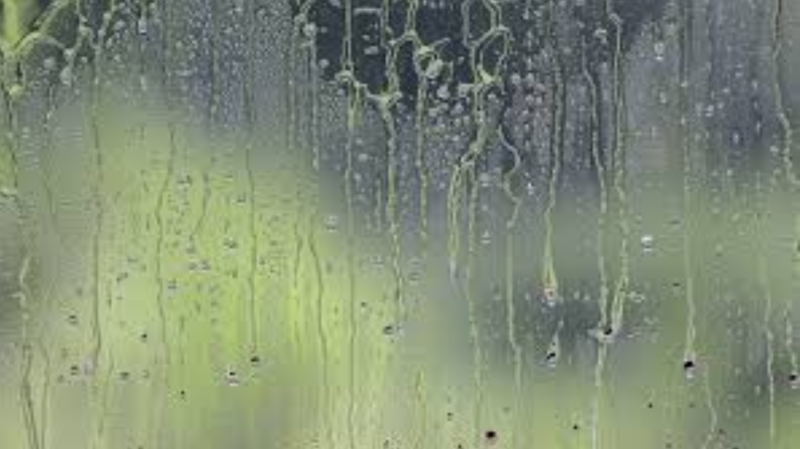 I didn’t once consider the Rain-X brand anti-fog spray on Amazon, it’s not only has only two stars, it’s much more expensive on a per ounce basis (Rain X is 12oz while Fogless is 32ox). Ultimately (and obviously since I am reviewing the product), I couldn’t find the combination of well-reviewed and cheaper and ended up purchasing the Fogless by Design spray product. Did Fogless by Design Anti-Fog Spray Work? In short, the product worked wonders and lasted much longer than what many of the Amazon reviews indicated. Read on. I received the product in early March 2019. I didn’t get a chance to apply it until a couple days later. I read over the directions and it was straight forward. I sprayed the product onto my bathroom mirror and wiped it clean with a small damp towel to ensure there wasn’t any streaks or residue remaining. Then I showered. I was amazed that it worked as well as it did. There were a few small spots that were fogged over, but that was because I didn’t wipe down the mirror as thoroughly. As mentioned, though some of the reviews says that it only lasts a few days before it needs to be re-applied, my initial application has lasted nearly a couple weeks! In fact, that first application is still working as of this post. That was my biggest concern with the item was how long did the treatment last? The answer, a really long time! 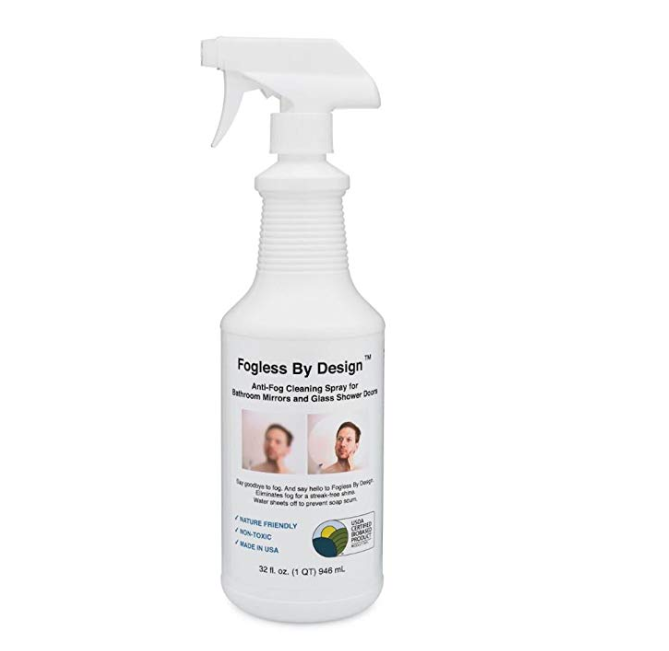 I can’t recommend enough Fogless By Design’s anti-fog spray for bathroom mirrors. After using the product, this was an easy choice. Not only does it work, was well-reviewed, but one application has lasted almost two weeks and was cheaper (on a per ounce basis) than the competitors. On top of all that, it is a USDA-certified biodegradable product that doesn’t contain any of the normal chemicals you find in the same products (e.g. VOC, petroleum products, sodium lauryl sulfates, alkylphenol surfactants, parabens, and synthetic dyes and fragrances).